CO2 is fast, efficient, cost-effective and adaptable for a wide range of hazards. The discharge of CO2, a low cost clean agent, is non-damaging to property and electrically non-conductive. Multi-hazard, high risk protection can be designed to provide automatic, simultaneous discharge for a variety of hazards and configurations using high and low pressure systems. 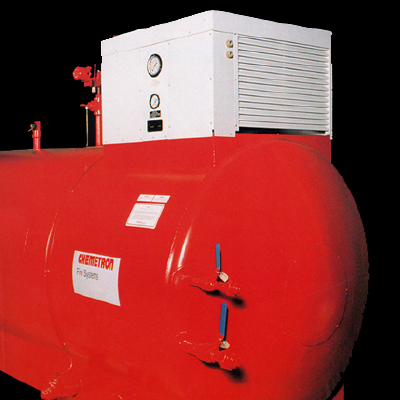 Low pressure systems and equipment are best suited for applications where large quantities of CO2 are needed. High pressure systems are recommended for smaller hazards or where space is limited. We work with each client to select the system best suited to an application based on performance, costs, logistics, maintenance, and personnel safety.